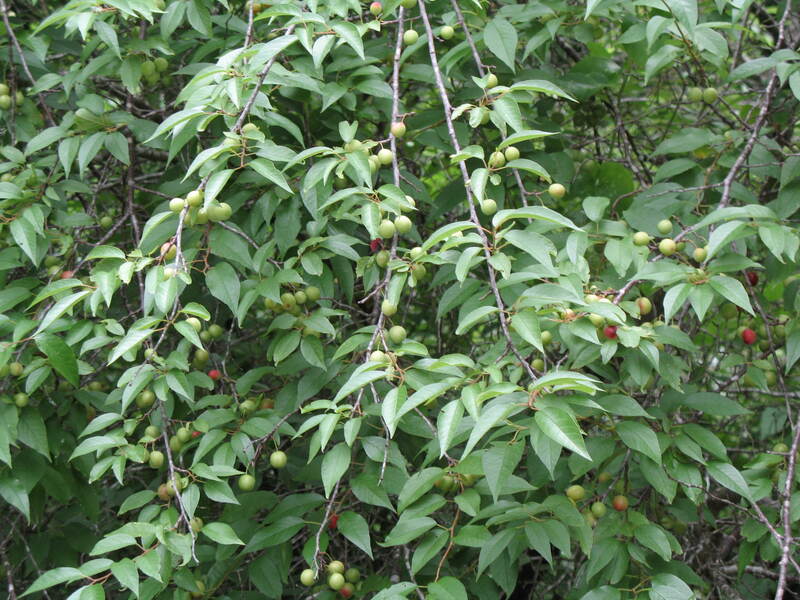 Comments: Prunus rivularis is a thicket-forming shrub. The red ripened fruit which are quite tart or bitter and are generally not eaten by humans. It is a source of food for birds and wildlife.